Israeli incumbent Prime Minister Benjamin Netanyahu will be in charge of forming the upcoming government, after more than 60 members of parliament recommended him to the president. Following the results of Tuesday’s elections, President Reuven Rivlin have met with members of the political parties, to get their recommendations on who they think should form the upcoming government. 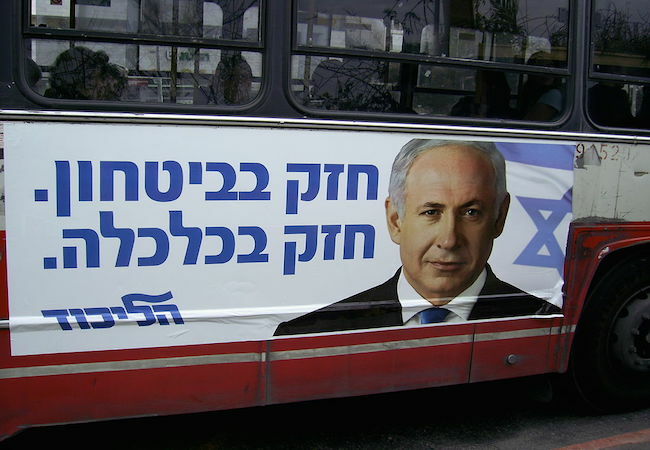 Netanyahu garnered the support of 67 members of parliament from his right-wing Likud party, the center Kulanu party, the nationalist Jewish Home party, the ultra-Orthodox parties and Foreign Minister Avigdor Lieberman’s Israel Beytenu party. Netanyahu has to finish forming the 34th government up until May 7. On Wednesday, President Reuven Rivlin will receive the results of Tuesday’s elections and announce officially that Netanyahu has been tasked with forming a coalition. Only 29 members of parliament supported Isaac Herzog, head of the center-left Zionist Union party, and recommended him to the president. Those include 24 members of the Zionist Union and five members of the left-wing Meretz party. Other parties, like the centrist Yesh Atid and the Joint Arab List refrained from supporting any candidate. Israeli media reported in recent days that several parties and politicians have already started making demands about the portfolios in which they are interested. Representatives of the Likud party have met with representatives of the ultra-Orthodox parties on Sunday. Members of Shas party said they are interested in the interior ministry and religions ministries, members of the United Torah Judaism said they are interested in the health portfolio and heading the Knesset’s (parliament) Finance Committee, the Walla news website reported. Kulanu, which ran on the ticket of helping the middle class in Israel, demands the finance minister’s position, the housing ministry as well as an important role on the finance committee. Israel Beytenu and the Jewish Home have both asked for senior portfolios, including the foreign ministry and defense ministry. Channel 2 news reported on Friday that Netanyahu prefers to keep Moshe Ya’alon from his party as defense minister, whereas other reports suggested that both Naftali Bennett from the Jewish Home and Avigdor Lieberman are interested in the position. Although Rivlin expressed his hopes for a unity government that would represent wide segments of the people, the option is off the table. Isaac Herzog announced last week he would lead his party and his constituency in his upcoming role as head of the Knesset’s opposition bloc.